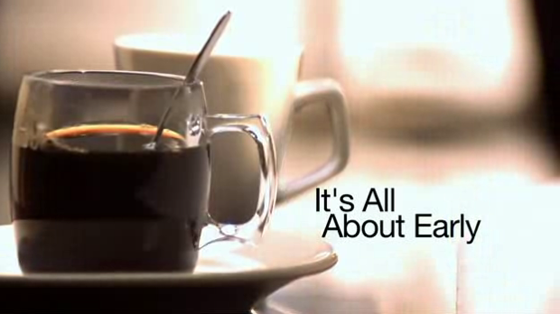 Stephen Arnold Music has created a new syndicated image campaign for stations, dubbed “It’s All About Early.” The package features a fully-produced and edited audio/video package designed to promote local morning news. Shot in HD and composed by SAM, “It’s All About Early” provides local stations with an affordable market-exclusive package that can hit the air immediately, or be customized with local footage of lyrics. The image campaign is available in 60s/30s/15s/10s and ID format, with both male and female vocal versions, as well as instrumentals, donuts and tag versions. In addition, the songs are available on iTunes for viral promotions.